* Pre-heat oven to 350. * Whisk egg white until very frothy. Add maple syrup and vanilla and whisk one more minute. * Add spices. Whisk together until well blended. * Add nuts and coat well. Turn them several times to ensure ever crevice is coated. 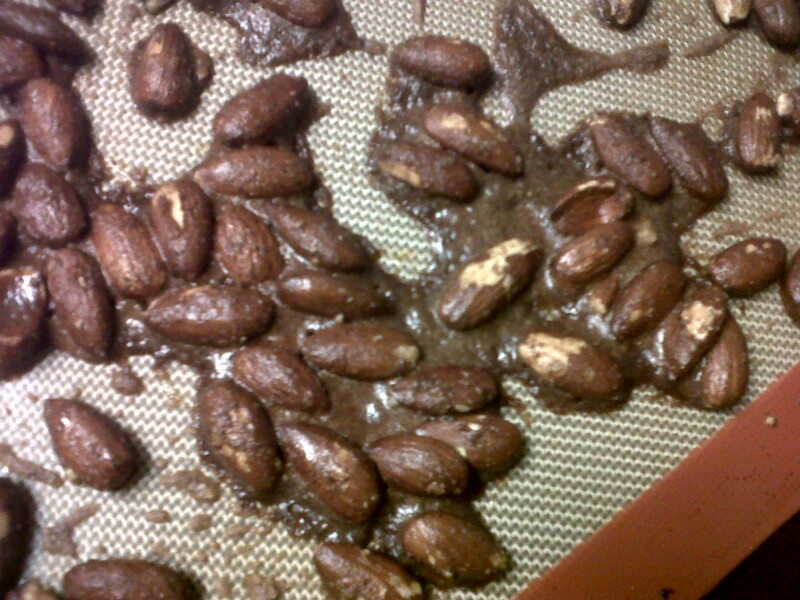 * Lay nuts out in a single layer on a Silpat mat or parchment paper on top of cookie sheet. * Bake for 20-25 minutes, stirring every five minutes. 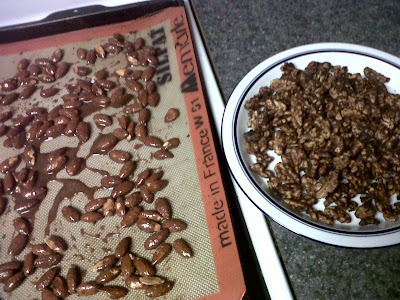 * Walnuts should be crunchy- not wet and not burnt. So if you get to the 25 min mark and they need more time, continue cooking and stirring/checking them every 2-3 minutes until done. * Once done, remove them immediately to prevent burning. Move them to another baking sheet or parchment sheet to cool. If you leave them on the hot pan, they will continue to cook longer. * Serve cooled as is or in a salad. Keep in an airtight container once completely cooled (as in not warm at all- completely cooled- or they will become mush). If you don't eat them first, they will last a week. But you will probably eat them within 24 hours. They are really just that good! Walnuts done and cooled, almonds ready to go in. Still too wet. Stir and pop back in the oven longer. Almonds vs. Walnuts. 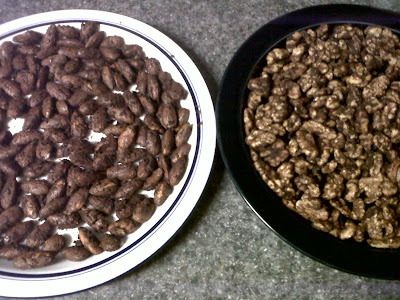 The walnuts won hands down.